Articles, case studies and online tutorials in the application of GIS in hydrology. With the widespread availability of global and regional datasets, GIS has become a powerful tool in delineating watersheds, analyzing runoff and other applications in hydrology. Links to airport location data, associations and articles on the use of GIS in the aviation industry. 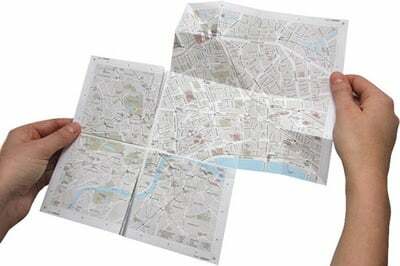 Called map2, the uniqueness about this map of London is the patented folding technique that allows the viewer to either view a large scale map or to fold out sections to see the zoomed in area.